The Bolingbrook Babbler: Web Exclusive: Bolingbrook Survives Soviet Snow attack! Web Exclusive: Bolingbrook Survives Soviet Snow attack! 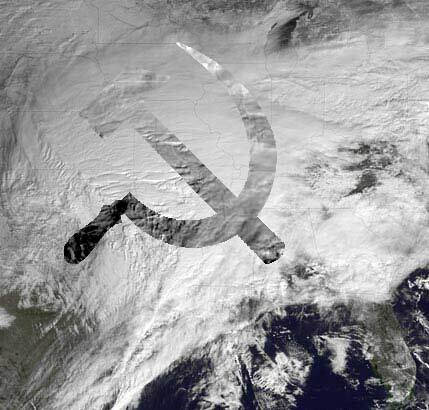 The Soviet Union, once the second largest superpower in the world and now a secret cabal, launched a major weather attack against the United States. The Chicago area caught the worst of it with high winds, thunder-snow, and bitter cold. The following is a team report from The Babbler’s staff. During the raging blizzard, Bolingbrook Mayor Roger Claar urged Republican Mayors not to surrender to the Soviet Union. Chicago officials privately blame snow snakes for the stranded cars on Lake Shore Drive. No one was killed by the snakes, according to Paul, but local doctors did convince patients that their snake bites were really frost bites. Though snow snakes have very short life spans, some experts say it is possible to train snow snakes. Some say it is possible that a secret government could train snow snakes to attack cars. Christie Klein was one of the people stranded on Lake Shore Drive. Paul says that all the carts affected by snow snakes are being decontaminated. Authorities says they want to be sure they’ve destroyed all the snakes’ eggs. While some have criticized Bolingbrook’s snow removal, and general response to the blizzard, village officials point to “The Brook Report” in their defense. Bonnie Alicea did not return our e-mails, but did post on The Brook Report that she was suspending her Village Trustee campaign, and would focus on running for Mayor in 2013. Members of the Brook Report who spoke to The Babbler denied that she really ended her appeal to get back on the 2011 ballot because she was snowed in, and the judge refused to let her testify over the phone.